Francis M. Boyer, Esq., is a member of the Bars of Florida (Federal District of North, Middle and South Florida), and the District of Columbia (Washington, DC). He is one of the few attorneys in Florida who is Board Certified by the Florida Bar as an Expert in International Law. Because Florida is the ONLY state in the nation that offers a specialty certification in International Law, he is also one of only 53 in the entire United States as of January 1, 2019.  Mr. Boyer was chosen as the winner in the following category – International Law – Attorney of the Year in Florida – 2015 by Global Law Experts. Global Law Experts judges attorneys based on client testimonials, key cases, legal rankings, overall reputation, publication contributions, speaking engagements and the performance and standing of teams and individual lawyers. He is also admitted to the United States Court of International Commerce and to the United States Supreme Court. This allows him to plead cases in Jacksonville, Orlando, Miami and all over Florida. We invite you to contact Boyer Law Firm, P.L. before making your decision to live, work, or invest in the U.S. Attorney Boyer will guide you through this new cultural and legal landscape, and together we can move forward on this path towards your goal. Boyer Law Firm, P.L. deals with American companies and individuals from all over the world, in particular from Europe, Canada, Latin America, and the Middle East. This experience helps compare and better explain the differences between the laws of each country.